My faves are MST 3000 (purely for nostalgic reasons), Goldblum and Mr. Spock. I like the hipster ballerina. My favorite is the Rubicon. My favorite is the Salt and Pepper! I like the Machine or Old Faithful.. The MST 3000 would have to be my favorite, followed closely by Arachnophobia. 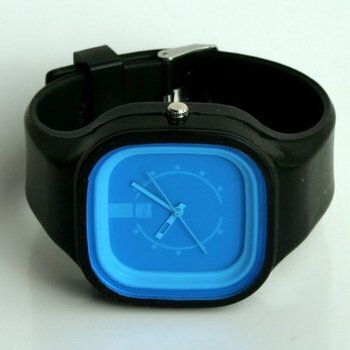 Very cool watches! I love the black with the green face or the white with the blue face. Thanks! Chartreuse because I am a Packers fan! I like the Memoirs of a Geisha style. i love cruella deville one! I like the San Francisco Dress Code. I like the Grizzled Veteran! I like the blue and green Totes Magotes Modify watch.